I’m a big Queen fan, like probably most people. They have amazing songs and Freddie Mercury was one of a kind, a type of star with charisma and voice that you rarely see these days. That being said, I didn’t rush to see the movie about his life, Bohemian Rhapsody, in cinemas, but when my family decided to watch this film for our Sunday activities, I said why not? Now I know it had a lot of controversy around it, be it the director or the actors, but I don’t want to talk about because, frankly, I don’t know much about it and I’m not interested. Anyway, what I can say about Bohemian Rhapsody is that I really liked it. Rami Malek really went all out, he committed himself to the role 100% and his nominations in the awards season will not come as a surprise, at least not to me (although I would be if he didn’t get nominated). For me he felt like Freddie Mercury, and he was so charming and extravagant, I think he did a great job. But if you want a second opinion, I asked my dad, who is 60 and has seen Freddie on TV definitely more than I have, what he thought about Rami’s portrayal. He said the real Mercury was more charming, but that Rami played his part well and that he really enjoyed the film. Overall, although I like it, the movie felt a bit forced in some aspects; I don’t even know how to explain it. It felt too poppy, too commercial, too made for the cinema, if you know what I mean. The close-ups, the extravaganza, the rags to riches story….all a bit too much, especially in the first part of the movie. But by the end, all the characters inhabited their part perfectly: the bandmates were really good, especially the guys who played Roger, the drummer, and Brian, the guitarist (sorry I don’t know your names, guys, but you did good). And I enjoyed hearing Queen’s greatest hits and seeing how they were made, especially Bohemian Rhapsody, it’s one of my favorite songs ever. In conclusion, I enjoyed watching the movie and I think Rami Malek delivered a fantastic performance that he needs to get credit for. 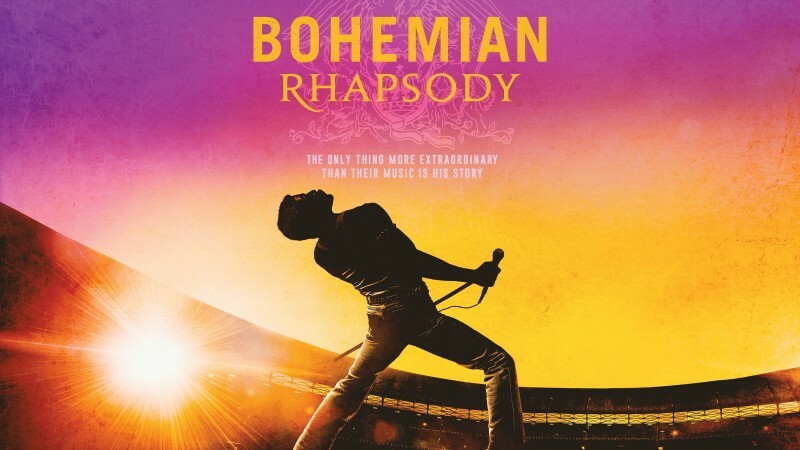 If you can and if you like Queen, go see it, I think you will like it!